Interview: All Hands on Deck for Girl-Empowerment! I am sharing below an interview I had with Captain Rosario Fernandez Rodriguez of tall ship El Galeón this past spring in Newburyport. It was an absolutely magical experience for me and something I recall quite frequently. I hope you enjoy it! The Adventures of Piratess Tilly author Elizabeth Lorayne with the Spanish tall ship El Galeon’s Captain Rosario Fernandez Rodriguez. 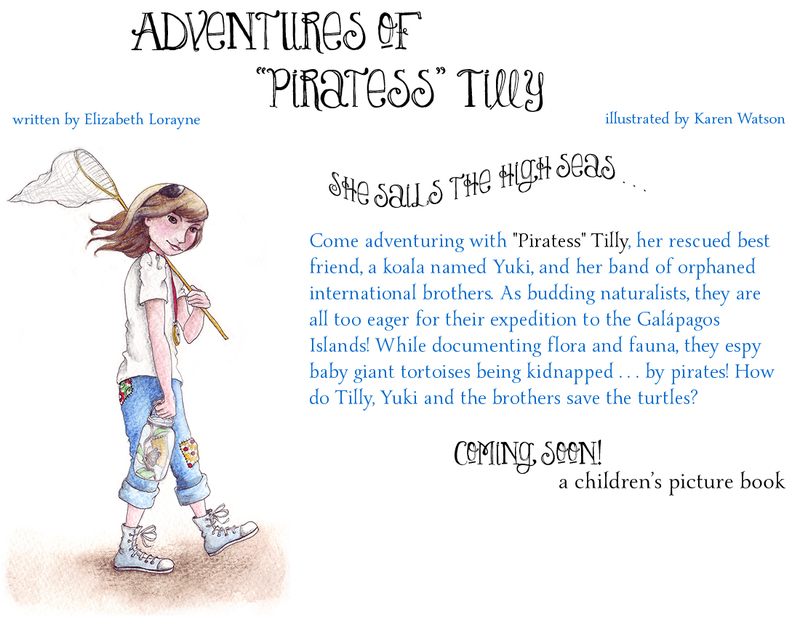 Elizabeth Lorayne is the author of the award-winning children’s picture book, The Adventures of Piratess Tilly. A native Seattleite and the granddaughter of Admiral Walter T. Griffith, she feels most at home near water, which makes living in Newburyport, MA most appropriate. She is an artist and writer, who enjoys hiking and creating art with her family. You can contact her by email ElizabethLorayne@gmail.com or through her books website PiratessTilly.com The sequel to The Adventures of Piratess Tilly, taking place on Easter Island, is due out January 2017.
p.s. Our 22 month old daughter LOVES seeing the updated illustrations. She gets so excited! !